“Fearless” young batting stars Prithvi Shaw and Rishabh Pant will be India’s special weapons during their upcoming tour of Australia, according to captain Virat Kohli. Hailing the roles of 18-year-old Shaw and 21-year-old Pant in the two-Test victory over the West Indies, Kohli said they had been given free rein to play their natural games. “We were looking at them playing with a lot of freedom, which they did,” Kohli said after India’s three-day, 10-wicket win on Sunday. 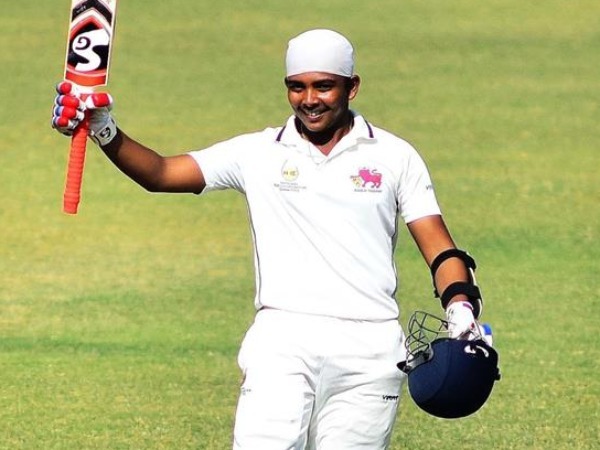 Shaw became the youngest Indian batsman to score a century on his Test debut, smashing 134 in the first Test against the West Indies in Rajkot. He followed it up with a quickfire 70 in the first innings of the second Test in Hyderabad. Left-hander Pant, who hit a century during this year’s Test tour of England, followed up with scores of 92 in both the first and second Tests against the West Indies. “I know the conditions were not as challenging as they might get in future, but in Test cricket, the first and the most important thing is confidence and understanding that you can score runs at the Test level,” said Kohli. Pant, who shows an audacious range of strokes as a middle-order batsman, has been rewarded for his Test performances with a call-up for the first two one-day internationals against the West Indies. But it is Shaw who has stood out, with some pundits comparing him to the great Sachin Tendulkar. He scored 237 runs in three innings against the West Indies to get the Man of the Series award. India coach Ravi Shastri compared Shaw to Tendulkar and the destructive Virender Sehwag and Brian Lara. The diminutive right-hander aggressively attacked the West Indies bowlers and showed quick reflexes while fielding at forward short-leg—a dangerous position close to the batsman. “He has been playing since the age of eight in the maidans (open spaces) of Mumbai. You can see all that hard work showing. There’s a bit of Sachin there, a bit of Viru in him—and when he walks there’s a bit of Lara as well,” said Shastri. India will play five ODIs and three Twenty20 internationals against the West Indies before starting a tour of Australia in November. After series defeats in South Africa and England this year, India will take on Australia in three ODIs, four Tests and three T20 matches in what is being seen as a critical examination of their position as the world’s top Test side.